Minimalists, prepare to be delighted! 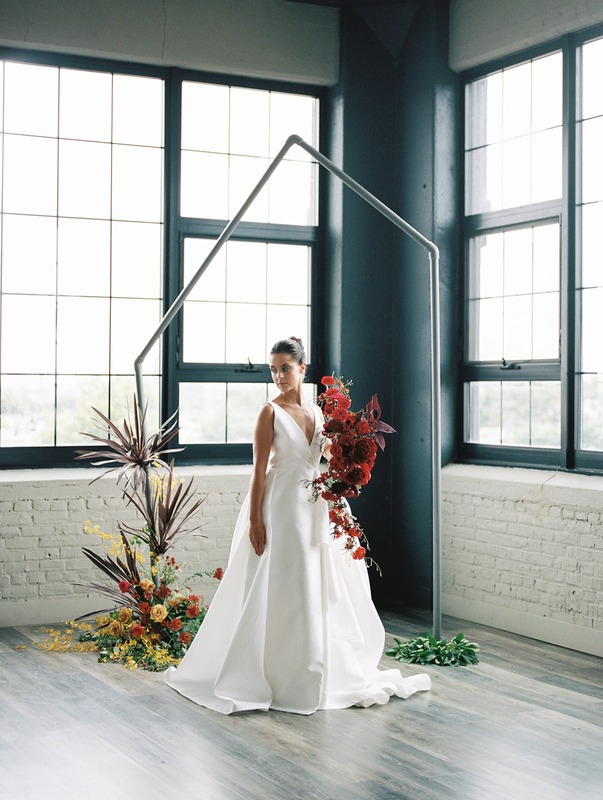 Polka Dot Events and du soleil photographie took this modern industrial venue in Philadelphia and breathed a high fashion wedding life into it. 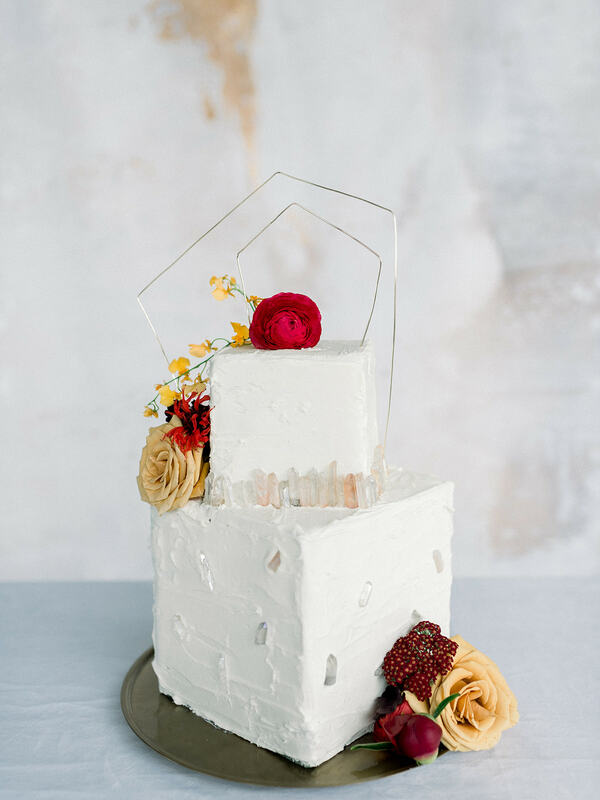 Everything from the paired down pipe wedding arch, to the epic mirrored sweetheart table, and every last delicate detail of the brides two stunning looks, we promise this next wedding inspiration is anything but vanilla. 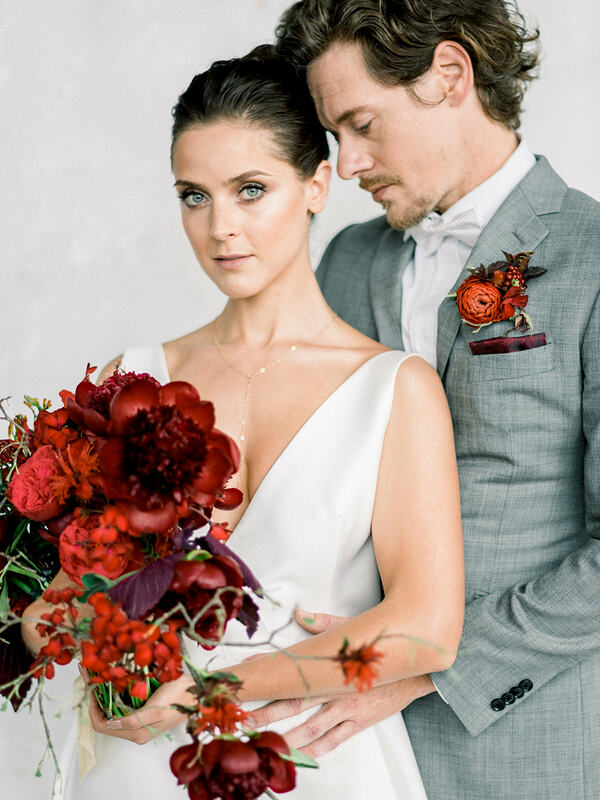 You can find more fabulous wedding ideas from this glamorous warehouse wedding shoot in the full gallery. When Minh of du soleil photographie and I first stepped into FAME at Maken Studios, we knew we had to do an editorial there. 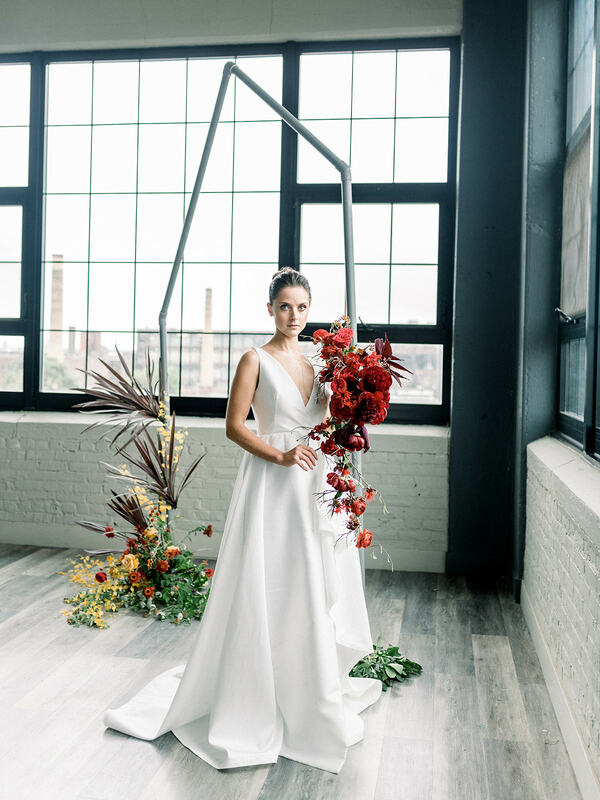 It's a completely new, industrial warehouse with incredible natural light, a killer view of the Philly skyline, and incredibly chic and modern fixtures. 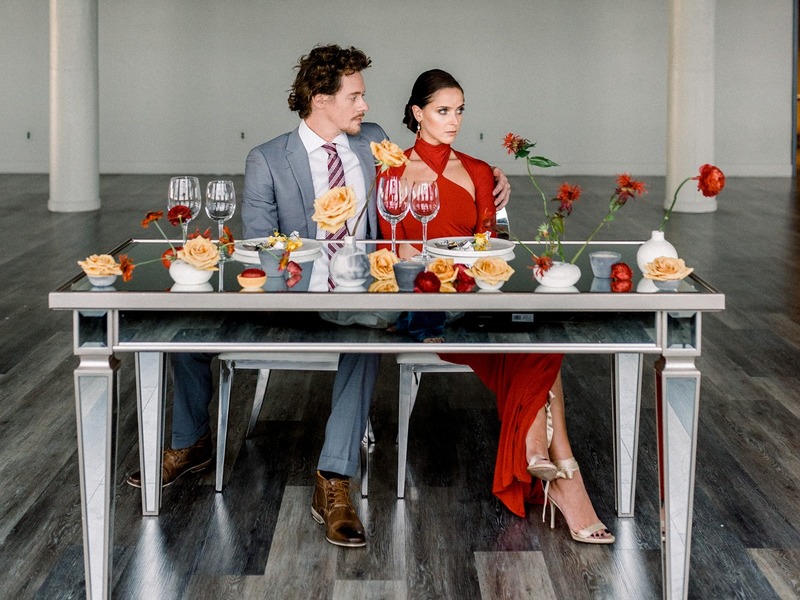 We knew that any couples who loved this space would be risk-takers and have awesome taste, so we decided to go for a shoot that could work in Vogue while highlighting the factory-chic venue. Our design was based on a modern, color block concept. 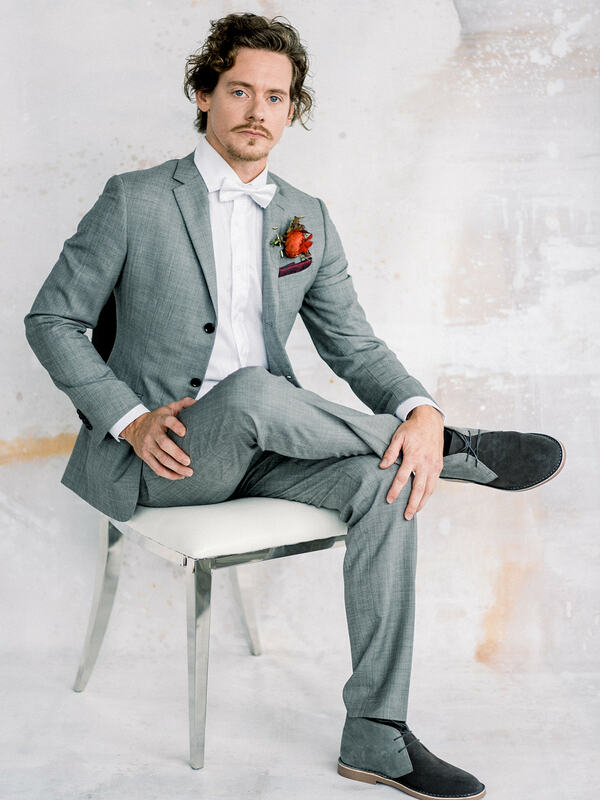 We picked mustard and scarlet as our pops of color, and left everything else black, white, and grey to really let them shine. This allowed the space to look modern and vibrant while maintaining its charm and the elegance of a wedding. Our invitation suite, by Ettie Kim, is a perfect example of this - Ettie created a geometric suite with interesting shapes and liners while also embracing delicate calligraphy and elegant fonts. 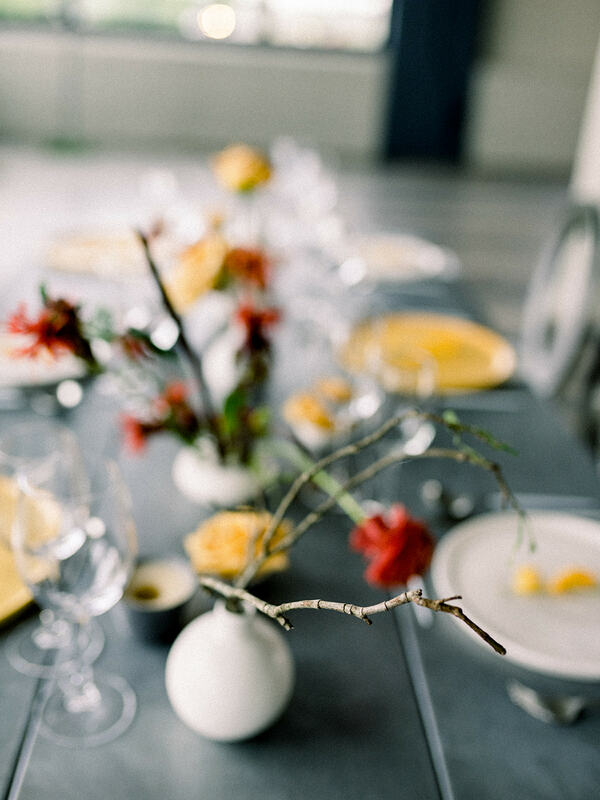 We found the most incredible plates, vases, and platters from Felt + Fat, a ceramic design studio right next door to our venue, and used them to create our chic tablescape. 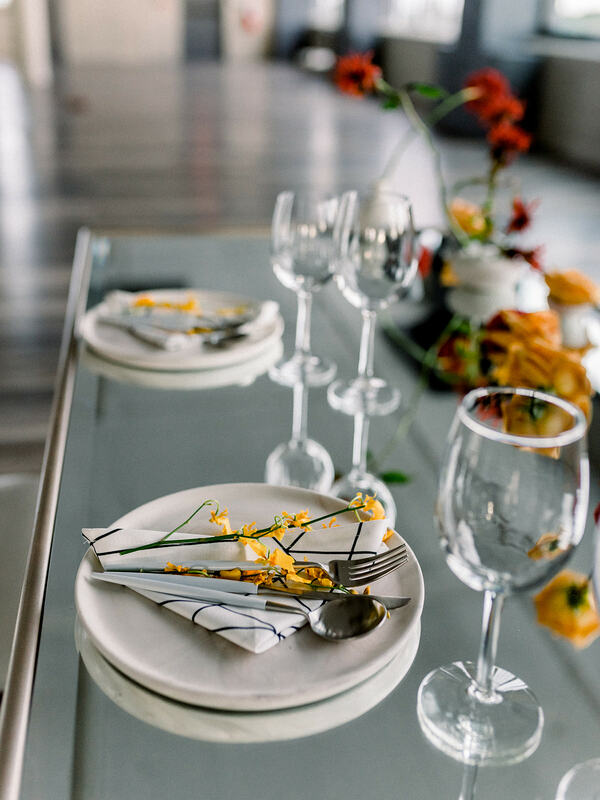 We kept the pops of color in the plates and geometry in the napkins and flatware, and We Are Wildflowers perfectly complemented everything by creating vibrant and dimensional yet delicate florals. 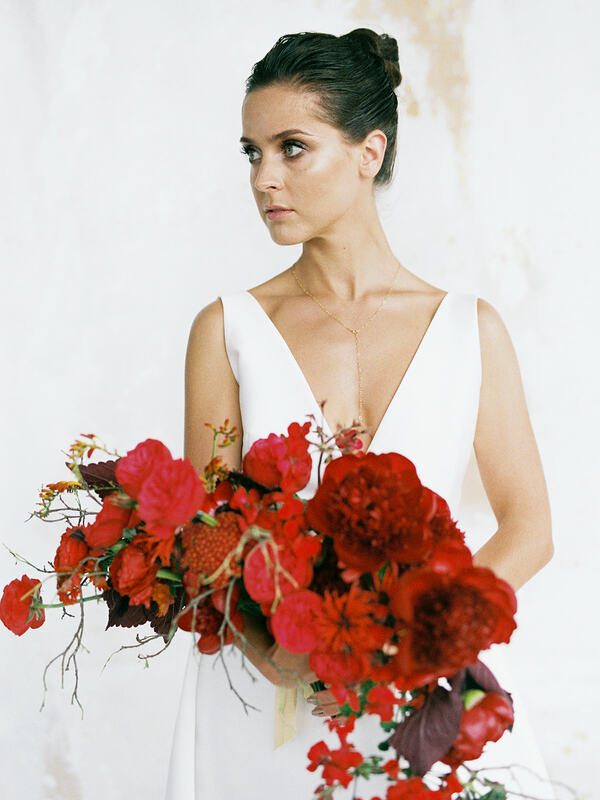 Jess of We Are Wildflowers continued this brilliance in the ceremony area and bouquet! 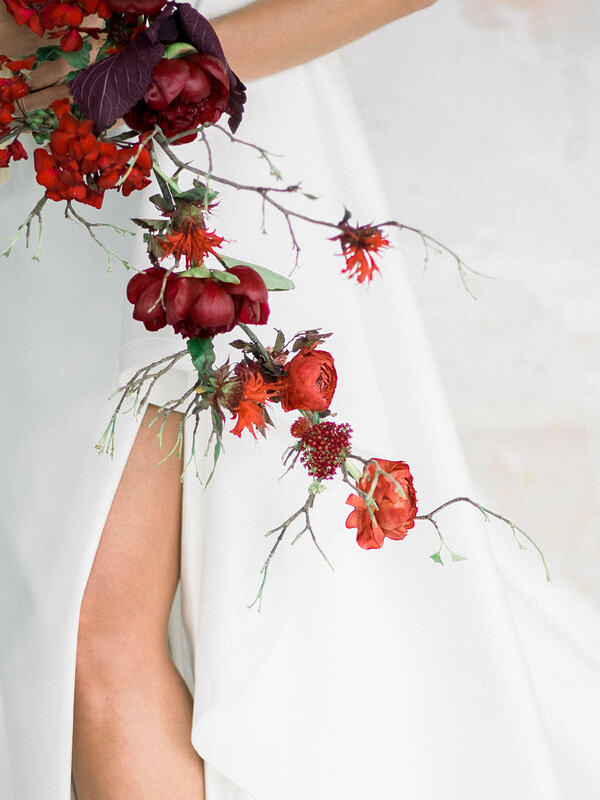 Our ceremony set up and bridal bouquet are both equally vibrant and gorgeous, and yet are surprising shapes that make them incredibly chic. To top it all off, we dressed our models in couture outfits with bold lines and sleek finishes. 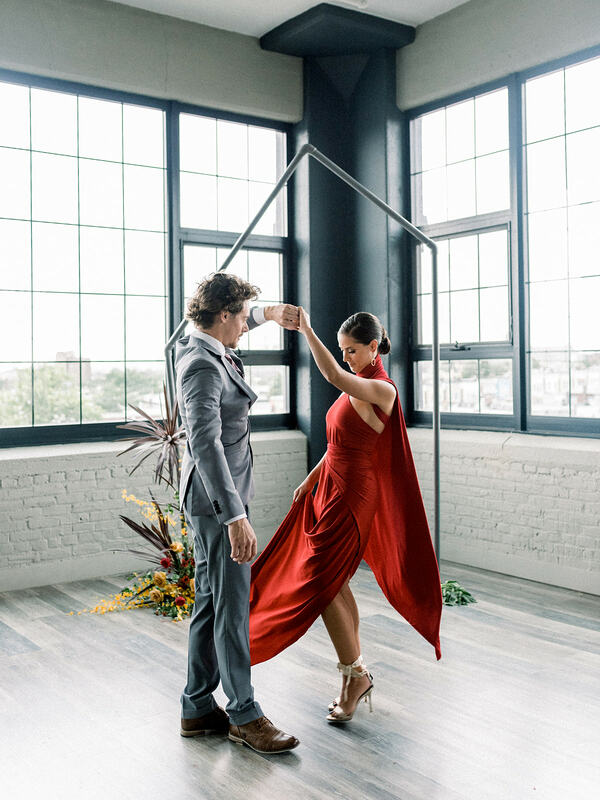 We kept the bride in traditional white for the ceremony look, and moved to deep scarlet as a fun and surprising color choice for her reception dress. The second dress is made with a peekaboo into that signature No. 21 unruly bow design. All of her jewelry from L. Priori Jewelries and Whim Jewelry is delicate and yet still a statement, matching the dresses and hairstyling perfectly while standing on its own beautifully.